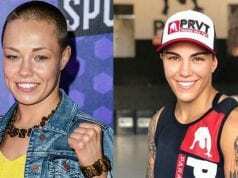 Top-ranked women’s strawweights Jessica Andrade and Karolina Kowalkiewicz squared off for a potential 115-pound title shot in the co-main event of tonight’s (Sat., September 8, 2018) UFC 228 from the American Airlines Center in Dallas, Texas. Andrade came out smoking, landing huge looping hooks that rocked Kowalkiewicz early. It appeared like Andrade mat finish the fight, but somehow Kowalkiewicz fought back with a knee of her own. Andrade continued her assault, however, landing more big shots. Kowalkiewicz wasn’t done, but Andrade kept up the nonstop offense. It was only a matter of time, as Andrade’s power was simply overbearing. She stepped forward with all her weight on a power right hook that knocked Kowalkiewicz out cold to continue the streak of insane finishes at UFC 228. Powerful stuff. 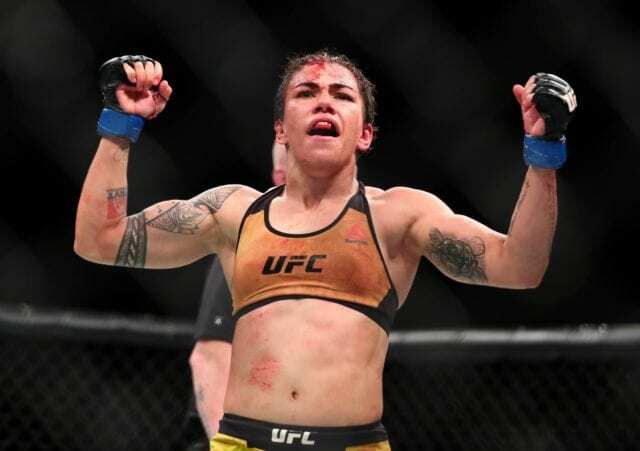 And a result that should earn Andrade the next title shot against current women’s strawweight camp Rose Namajunas.